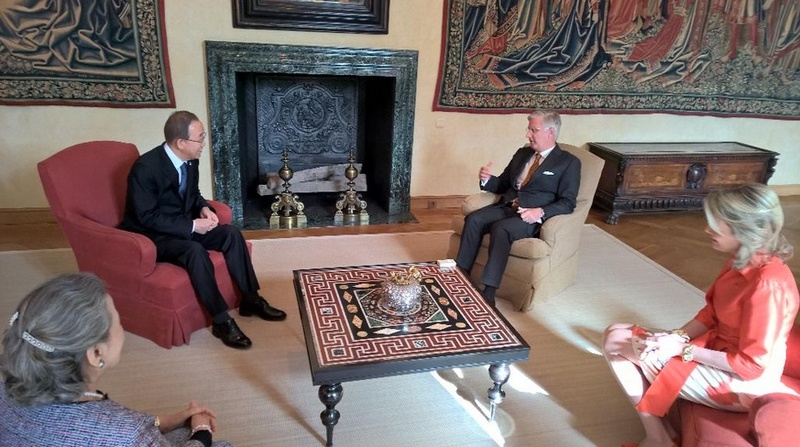 (VIDEO) His Majesty King Philippe of Belgium Hosts a Reception. Plus, Other News. 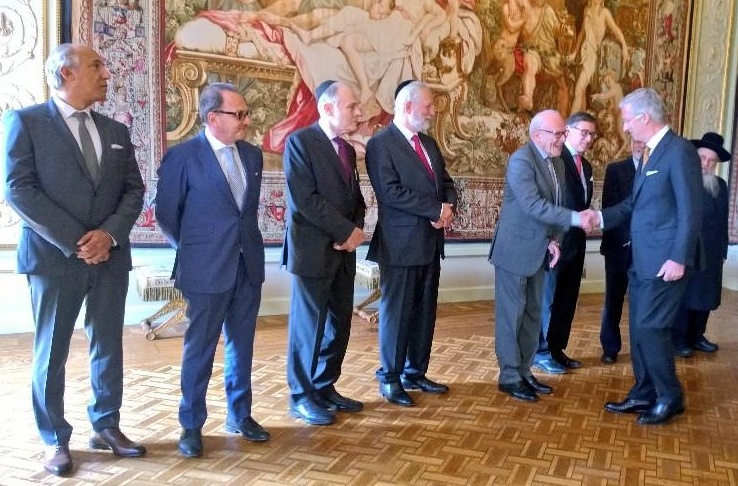 On May 27, 2015, His Majesty King Philippe of Belgium hosted a reception at Château de Laeken for representatives of the Jewish community in Belgium. Earlier, His Majesty accompanied by Her Majesty Queen Mathilde held an audience with the United Nations Secretary-General, Mr. Ban Ki-moon, and his wife, Yoo Soon-taek, at the Palais de Bruxelles. Photos courtesy of the Belgian royal court. Previous (VIDEOS) HM Queen Elizabeth II and the State Opening of Parliament 2015. Next HRH Crown Princess Mary of Denmark Visits the Psykiatrifondens Reach Out Bus.